A simple and straightforward cole slaw with a light and tangy mayo dressing. As I begin this series on Cole Slaw (every Wednesday for the next 5 weeks), I thought I'd start with the most common variant and a little background. 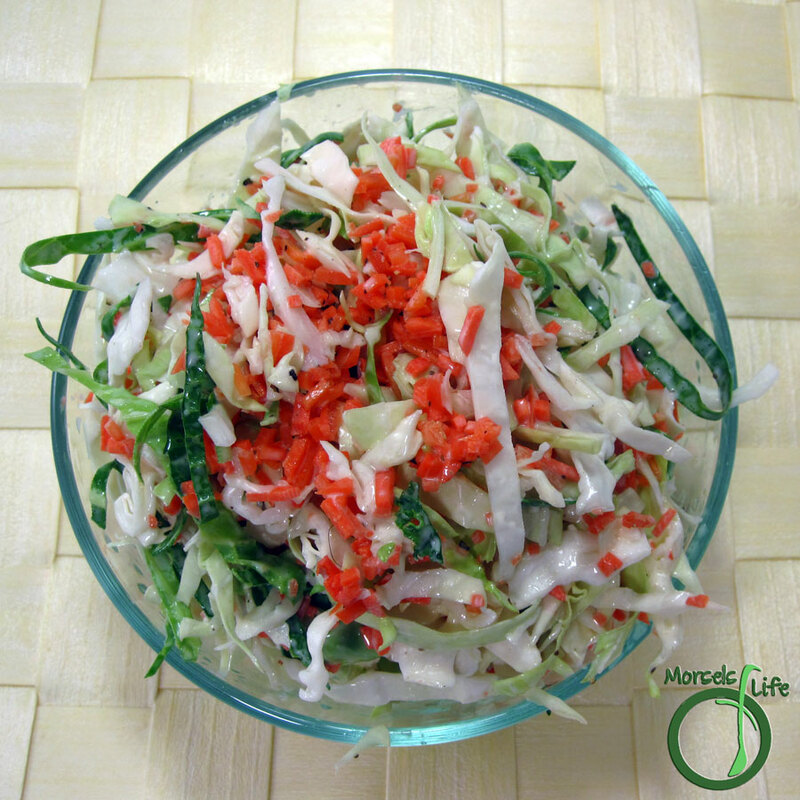 The term "cole slaw" came from the Anglicization of "koolsla," short for "koolsalade," a Dutch term meaning "cabbage salad." And that's cole slaw in it's most basic form. It's a salad mainly consisting of raw, shredded cabbage and some sort of dressing - usually mayo based, although some use buttermilk or vinegar. You can also add other ingredients - carrots, celery, nuts, apples, dried fruit, etc. 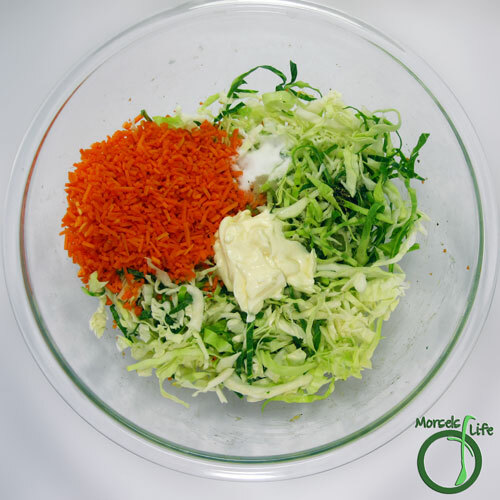 I kept this cole slaw simple - adding just carrots and celery seed in a light and tangy mayo dressing. 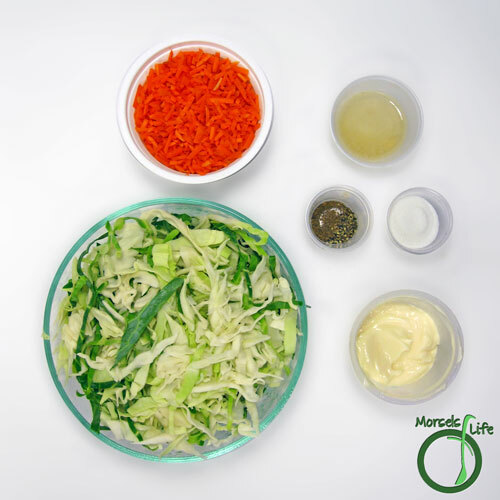 Do you like cole slaw with lots of add ins or just the basics? What's your favorite dressing type? Looks delicious!! Thanks for sharing on the What's for Dinner link up. It looks delicious and quite light which is great - I don't like it when there's too much mayonnaise on a cole slaw. My mom and my aunt love coleslaw. I totally have to make this for them.